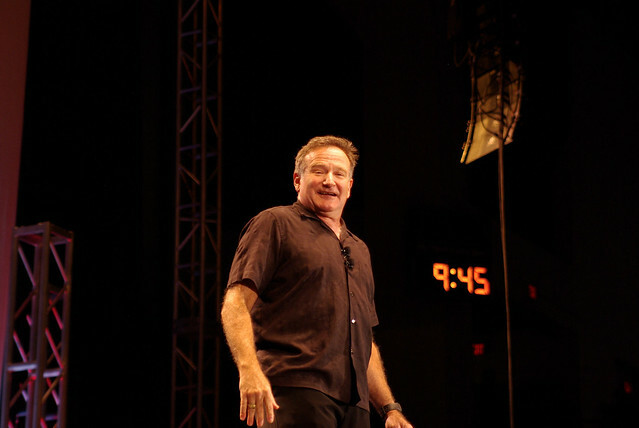 In 2007 I was introduced to Robin Williams's stand-up work. I knew most of his movies, but I didn't know just how great of a comedian he was. A friend I made in Beijing reenacted his Scotish golfer routine (making me snort lemonade through my nose) and I knew I had to see the entire thing. I managed to get my hands on a copy of the 2002 Live on Broadway show and had to stop playback multiple times while watching because my stomach hurt from laughing so hard. It is, to this day, the funniest stand-up show I've seen.